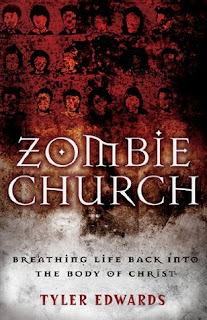 Tyler Edwards designs his first book around the theme of zombies and how some of the churches today are zombie like in their living for Christ. He writes “Apathy has stained our lives so pervasively that we don’t even recognize it anymore”. Many churches are dead to call of the Holy Spirit and the Bible has lost its appeal. I personally don’t enjoy Zombie movies or anything related to them. I wasn’t sure who Tyler’s target audience was, but guessing the under age 30 crowd of those Christians making up the Zombie churches and not realizing it? I disagreed with a statement he wrote on page 43 “The Bible is very important but again it is not God”. Where John 1:1 “In the Beginning was the Word, and the Word was with God, and the Word was God”. Also he says that people can make the Bible an idol, like that is a negative thing. If I were going to make anything an idol wouldn’t I want it to be God? That thought left me disheartened though I know I get what he was trying to say in not making the laws of the Bible, and the ways of the church an idol. 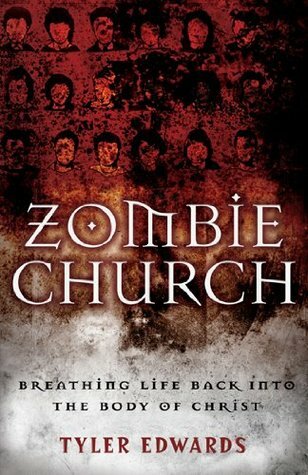 The devil does find it easier to distract people in a zombie church, and I agree that there are dead churches out there that need some life blood pumped back into them. Being from a living church I think that there are ‘dead’ people all around us, even sitting in the pew next to us. I appreciate Tyler trying to become culturally intune with the theme of Zombies, but as Christians we need to stand out and be different from the world. I didn’t get his whole Zombie thing really. The publisher is sponsoring a $50 Amazon.com giveaway open to both you and your blog readers. If you post for the blog tour you’re already entered into the contest. Your comment made me giggle. But what can I say I have no t.v. in our bedroom. Also following you on network blogs. Have a GREAT day.